Experience Eastcoast Sailing’s Christmas Party Cruise Hire on Sydney Harbour! Host a Christmas party this year that is unique and memorable for clients, and shows staff your appreciation. 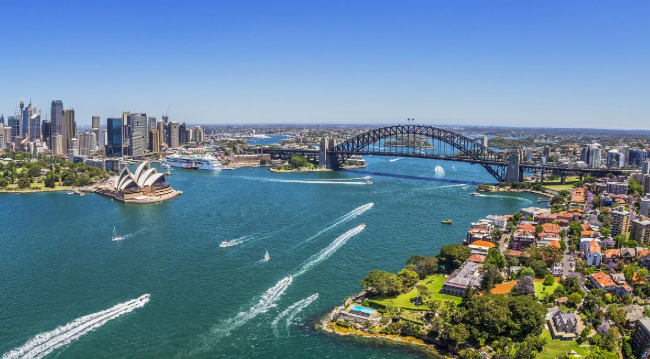 While it’s tempting to book the same restaurant as last year, a Christmas Party Cruise Hire in Sydney provides all the luxury of fine dining, but you’ll enjoy it with the sparkling backdrop of the Sydney Harbour. Christmas Party Boat Hire caters to parties of all sizes with options for different times of day and an exciting range of food and refreshment menus. Let’s break it down so you can see why a boat hire in Sydney will make your 2018 Christmas party stand out. Christmas parties often take place in noisy restaurants or venues. If you’re lucky, it might have a nice view out a window. Imagine taking your staff and clients right out onto the cool, dazzling waters of the Sydney Harbour. The Christmas party cruise will pick up your party from a choice of several different locations, including King Street Wharf. We will whisk you away to enjoy the afternoon, or sunset, beneath the magnificent Harbour Bridge and iconic Sydney Opera house. Now that the stunning backdrop for your Christmas party is sorted, you’ll want to make sure that the refreshments don’t pale in comparison. An elegant menu and sophisticated drink list goes a long way. It shows your clients how important their business is to you, and it’s a nice way to thank your staff for a year of hard work. Whether you’re looking for a Christmas party cruise hire for lunch, dinner, or a tasteful cocktail setting; appropriate menu selections are available. Depending on the desired ambiance of the event, you may opt for a casual buffet style menu. Or perhaps a formal sit-down dinner is more suitable. Some events require an adventurous list of stand-up cocktails and an array of snacks that allow guests to mingle at their leisure. Whatever the choice, seafood menus are always on offer for a Christmas party cruise in Sydney. We all know there is nothing more fitting for a warm, seaside, Christmas celebration! High quality beer, wine, and champagne packages are available and many vessels also have the option to upgrade to spirits. Soft drinks and juices are available for guests who don’t drink alcohol. Get in touch and we’ll walk you through the options. Sydney is booming with businesses of all shapes and sizes, and none should be excluded from the chance to host a Christmas party to remember. Our Sydney Christmas party cruise hire packages are suitable for all group sizes. We have smaller boats for small corporate teams, perfect for more intimate Christmas party events. For large functions of over 300 guests, we have an incredible range of boats, charters, yachts and catamarans. All of which are sure to wow your guests. Your very own set of wait staff for the event. This option also includes a surround sound system and a microphone for those making speeches or having a boogie! The MV Sydney Christmas Cruise is also a four-hour cruise for up to 185 guests. We offer a choice for either a Clifton Garden Cocktail menu or Rushcutters buffet. Both options include the Diamond Beverage package. This cruise features your very own DJ and party lights. Ideal for corporations who like to get their groove on. Plus, your guests will enjoy Christmas decorations plus themed bon bons. The choices go on and on! You can view the comprehensive list of Sydney Boat hire options here. We’re confident that you’ll find the perfect Sydney cruise hire for your Christmas party this year. Check out our expansive list of Christmas party cruises here. Contact Eastcoast Sailing Events Managers to host a first class Christmas Party cruise. Make this Christmas a memorable one!